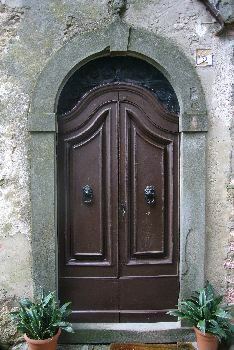 623 Village house in the heart of a medieval hamlet in the north of Tuscany in need of renovation. 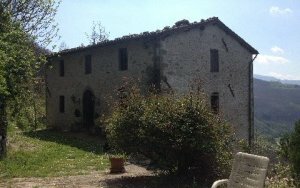 Tuscan Idyll: Opportunity to acquire a large historic stone house near Pieve Fosciana in northern Tuscany. 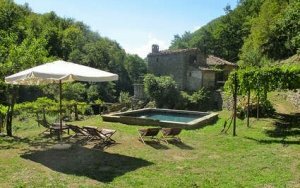 The property is located in Bargecchia, a historically important hamlet with 16th century Church, Campanile and Castello in a uniquely beautiful part of the Garfagnana. This house is being sold by a Scottish architect who has fully refurbished the adjacent property for his own family use. Originally 2 attached houses set on 2-3 levels. Total refurbished area including attic floor would be circa 230 mq. The property could be refurbished as a 4-5 bedroom house or split to form one larger house with a smaller linked unit. Ground floor – consists of 2 very large interconnected rooms including cantina with original fittings. First floor – consists of 3 rooms. Loft space consists of an open space with 2 original windows that can be reinstated. 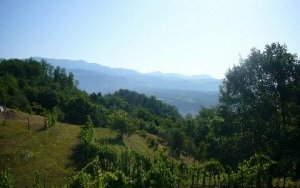 The property is located 10 minutes from Castelnuovo di Garfagnana and 25 minutes from Barga, the ‘Most Scottish Town in Italy’. Lucca is 1 hour to the south with Forte di Marmi and the beaches of Versilia 1 hour to the west. Florence and Pisa (airport) are both 1.5 hours away. 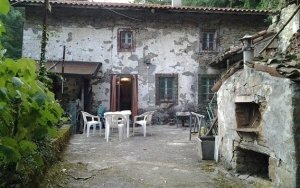 Partially renovated town house with gardens and stone barn in Bargecchia, Garfagnana, Lucca.